The competition is stiff in the eCommerce industry and companies employ all possible techniques to lure customers and to remain on the top. Popular search engines remain the top choice for customers to look for things and therefore it is important for ecommerce sites to rank well on these sites. While ranking on top will get customers to your site, a lot of factors come into play when sites look for conversion. Time is of essence for everyone. You only have a few seconds to get your potential customer interested and if your site takes forever to load, then you are practically losing customers. Also, Google consider user experience to be of prime importance in ranking a website. And there is a correlation between user experience and site loading. This article will list the tips and tricks involved in improving the rank and conversion of your Magento powered store. The Magento customization involve some generic techniques that would improve the ranking and conversion and some others that are specific to Magento. Server Selection: This point is not specific to Magento. This is a generic point which is important for all websites. Select a server wisely and don’t let the cost be the only parameter for selecting the server. Make sure that the service provider has a dedicated server for your website. Also, check if the company provides services to other Magento-powered stores and if the answer is yes then check those stores as well for loading speed. Content Delivery Network (CDN) Selection: CDN does not need an introduction to people who are familiar with the world-wide-web protocols. CDN works on the basis of the geographical location and if your ecommerce platform caters to only a particular geographical area then select a CDN which has server based in that area. This proves to be an effective strategy. Enabling and Disabling Magento Features: There are many features that Magento offers to its users and it also provides the users with the liberty of using these features as and when to ones advantage. You can easily enable or disable these features to achieve the desired result, URL store code is one such feature which is better disabled because it makes it difficult for search engines to crawl. 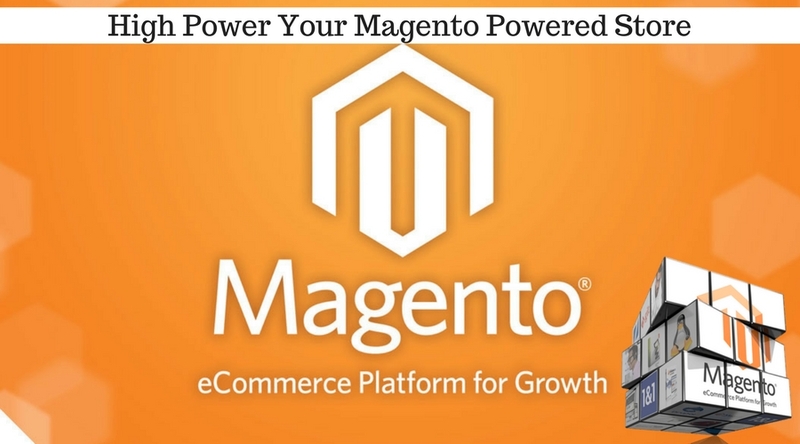 Another great way is to look for Magento customization service providers who can take care of all the requirements and is adept at improving the speed of your store. These service providers make use of extensions, incorporate the best techniques when it comes to optimization, and are also proficient in Magento to make good decisions. If your Magento-powered store has a good range of products, then you can easily incorporate these or take help from a professional to make wise choices. James Warner – Highly skilled, experienced and Sr Magento Certified Developer at NexSoftSys. James has worked with healthcare, telecommunication and banking sector and delivers complete solutions as per client demand. He has expert in Magento customization and bright technology knowledge to develop IT business system which includes user friendly access and advanced features. Web Development Rankings Based on Reviews & Sentiment. Our rankings are completely independent, transparent, and community driven; they are based on user reviews and client sentiment. These web development companies had to earn their way up and didn't just pay their way up. How Dynamics CRM Developers Parameterize Their Workflow?